Black Racequip Latch & Link 4-point pull-down. 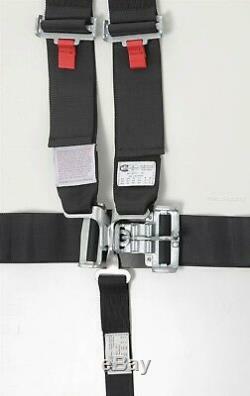 Features a V-type shoulder belt, and double adjustable lap and sub belts for ease of installation and adjustment. All Safe-Quip belts are made with forged steel hardware and premium quality 3 webbing. Belts are pattern sewn for uniform stitch length and strength. SFI certification testing is performed routinely to ensure integrity and uniform production standards. Set includes bolt-on end mounting hardware. Shoulder belts adjust from 26" to 40". 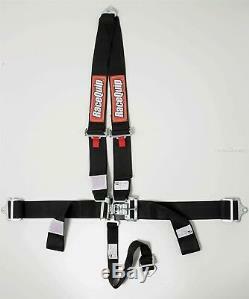 Lap Belts adjust from 20" to 60". This item is for one seat. 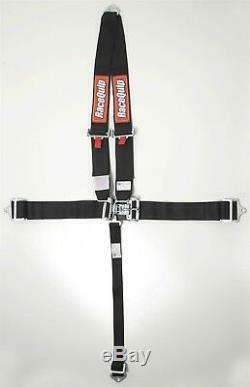 The item "Racequip Black 4 point V-Belt Racing Harness 713003 Race Seat Belts Razor Rzr" is in sale since Friday, April 9, 2010.